It’s fair to say that despite his popularity amongst TV viewers on both sides of the Atlantic, Dan Stevens has found it hard to make a full transition from his high profile TV role in Downton Abbey into the film world. However, with his latest roles in the brilliantly understated Marshall and now playing a young Charles Dickens in the charming yet flawed The Man Who Invented Christmas, one would hope that it won’t be long before he becomes a permanent fixture on our big screens and that is no less than his versatile acting talents deserve. Adapted by Bharat Nalluri from a Les Standiford’s book of the same name, The Man Who Invented Christmas recounts the magical journey which led to the creation of one of the Charles Dickens most loved and highly regarded books of all time, A Christmas Carol. We first meet Charles Dickens (Dan Stevens) as he tours America in the midst of high praise and adulation from his adoring fans. However, on his return to England the prolific writer is met with the prospect of yet another flop and mounting debts which could ruin him and his ever growing brood. With the help of his trusted friend, later biographer, John Foster, an amiable northerner played beautifully by Justin Edwards, Charles must find a way to have a hit again and keep his debtors at bay. Increasingly struggling with writer’s block and besieged by a scrounging father (Jonathan Pryce), Charles is finding it hard to come to terms with his painful past, but must use a particularly painful episode from his childhood to help him out of his desperate situation. Elsewhere, Christopher Plumer puts in a scenery chewing performance as Ebenezer Scrooge, whilst Miles Jump easily steals every single scene he’s in as critic William Makepeace Thackeray, who is offered as a pompous verbose and highly unpleasant bore. Desppite not always managing to hit the right note, Nalluri does a great job in presenting a heartwarming, yet thoroughly innovative story in which characters from A Christmas Carol are seen mingling with historical characters from Dickens’ own life. 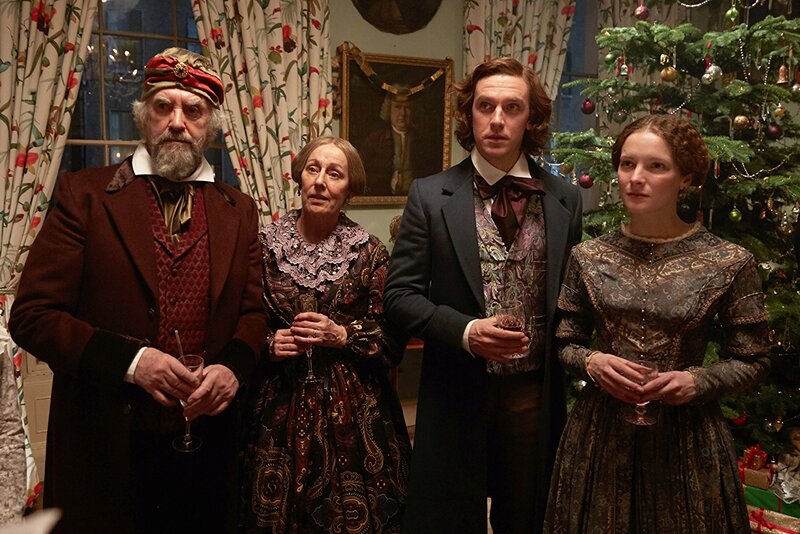 On the whole, the film does a decent enough job in reconciling cinemagoers with Dickens’ body of work in a playful, and at time deeply touching ways.